Just the Flight is operated by Wayfarers World Travel Ltd based in Guernsey, Channel Islands. Any data collected from customers will be used solely for the purposes of making bookings and travel arrangements. No data will be passed on to any third party. Under the Data Protection Act you are entitled to view any information we hold about you. Just the Flight operates a strict no-spam policy and any email marketing is on an opt-in basis. Our ATOL number is 5554. To check the validity of this ATOL certificate, please click on the logo opposite. What does an ATOL provide our customers? 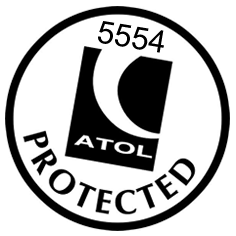 ATOL is a protection scheme for flights and air holidays, managed by the Civil Aviation Authority (CAA). Most firms who sell air travel in the UK are required by law to hold a licence called an "ATOL". ATOL protects you from losing money or being stranded abroad when a travel firm goes bust. All licensed firms have to lodge bonds with the CAA so that if they go out of business, the CAA can give refunds to people who can't travel and arrange for people abroad to finish their holidays and fly home. Just the Flight is owned by Wayfarers World Travel Limited ATOL no 5554 The air travel and flights shown are ATOL protected by the Civil Aviation Authority. When we act as agents for licensed tour operators, the relevant ATOL number will be shown when you book online or if you book by telephone will be on you receipt which we will forward to you immediately we take payment.The scheduled flight bookings we make are ATOL protected, except when tickets for scheduled flights are sent to you within 24 hours of the payment being accepted or where the payment is made direct to the airlines. ATOL protection extends mainly to customers who book and pay in the United Kingdom. Book with confidence. We are a Member of ABTA which means you have the benefit of ABTA’s assistance and Code of Conduct. All the package and Flight Plus holidays we sell are covered by a scheme protecting your money if the supplier fails. Other services such as hotels or flights on their own may not be protected and you should ask us what protection is available. Our ABTA number is K6788. To verify our ABTA number, please click on the logo opposite.  The Association of British Travel Agents is the UK's Premier Trade Association for Tour Operators and Travel Agents. ABTA's 800 tour operators and 6700 travel agency offices are responsible for the sale of around 80% of UK-sold holidays. 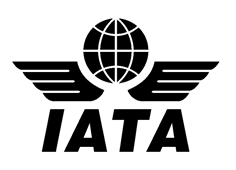 The International Air Transport Association (IATA) is an internationally recognised body with over 270 airline members from more than 140 countries worldwide. 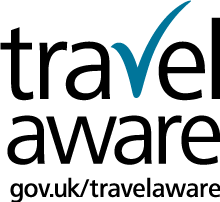 Just the Flight is a partner of the Foreign & Commonwealth Office's Travel Aware campaign, helping Brits to stay safe and healthy abroad.